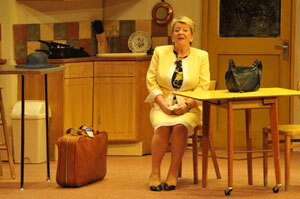 “Playing Shirley is always such a pleasure. Wirral’s favourite comedienne tells Catherine Jones why she‘ll never tire of her Valentine. At Port Sunlight it was to raise money for the village’s Gladstone Theatre. And then there was Cardinal Heenan high where the school got new lighting and sound equipment. “The only person who hasn’t made money out of Shirley is me!” laughs Pauline. Now the love affair between the Wirral singer, actress and comedienne and Willy Russell’s housewife on the verge of a mid-life crisis (Pauline even went to Mykonos last year to see where the film version was made and “have my picture taken on the beach with a glass of wine”) is continuing at the Royal Court. She never tires of what has become a signature role, and that is mostly down to writer Russell himself. “It’s just so perfectly written,” explains Pauline. “I know Shirley is 42 and I’m 53, but I think if he was to write it today she’d be 52 anyway. “There’s nothing in there that’s irrelevant. Every time you do it, it’s as important now as when it was written. It’s hoped it doesn’t quite come to that. One change for Pauline this time is the addition of a director – Glen Walford, who directed the first ever Shirley Valentine at the Everyman back in 1986 - to proceedings. It’s a departure for the 53-year-old who is often both actor and director, and at the Actors Studio was also running the box office. But she relishes the change. “When the Royal Court asked me to do it, I asked for Glen,” she reveals. It’s a good thing Pauline has Shirley in her blood - and the part stored in her head, as she only has four days of rehearsals to perfect her performance. But the whippet-fast turnaround is not surprising when you consider the work commitments of the non-stop Daniels dynamo. There’s been Dirty Dusting, the saucy tale of three office cleaners facing the sack who turn to a decidedly filthier line of work, and Pauline has also signed up to reprise the leading role in Helen Forrester’s riches-to-rags tale of a family fallen on hard times, Twopence to Cross the Mersey, when it returns to the Empire this autumn. Added to which is the small matter of running her own theatre - the 80 seat Actors Studio on Seel Street. “I’m trying to get the rights to Talking Heads and do that again, and I’m also trying to get the rights to A Saint She Ain’t for Christmas. In the meantime there’s Shirley Bradshaw, with her chips and egg dinners (cooked live on stage and wolfed down by the backstage crew afterwards) and dreams of escape from domestic drudgery. 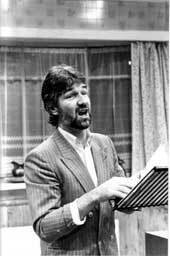 And there’s also the eternal hope of a new role from the pen of Willy Russell as a natural progression from his young Rita and middle-aged Shirley. “I’m still waiting for Willy to write his pensioner’s play,” Pauline admits.